As you know, I'm always looking for unique and high quality products. And these new Stardom Crafts Liquid Chalk Markers I've been using are just that! The markers come in a box of 18 amazing colors and can be used on any non-porous surface like glass, chalkboards, mirrors and steel! The colors come out so vibrantly and smooth. Plus, the tip is reversible so you can write with a thick tip or a thin one! Not to mention, these markers are non-toxic and completely erase with just a wet cloth. I've really been having so much fun playing with these chalkboard markers. 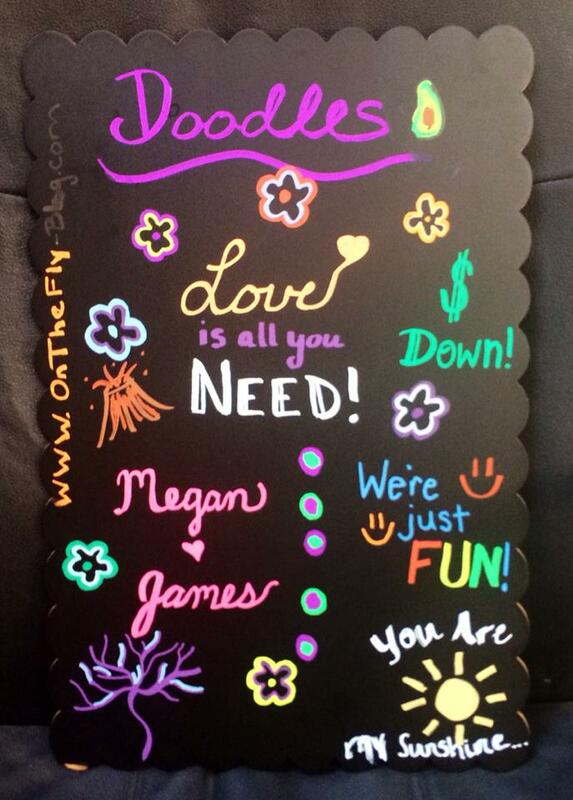 In fact, I bought a chalkboard at Michael's and they work great on that surface. I've been using it as a Doodle-board and have been encouraging all of my house greats to draw something fun! All of my friends who have tried these markers love them so far. I'm even going to use them to make some cool boards and signs for our wedding so stay tuned for the finished products! 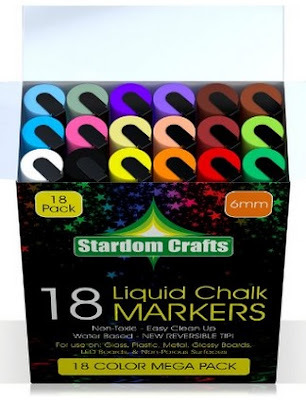 Check out the Stardom Crafts Liquid Chalk Markers for your own creative crafts! Have you ever used liquid chalk markers? *I received this product complimentary in exchange for an honest and unbiased review. All opinions and views expressed are my own. Pamper Your Skin with 24K Gold!